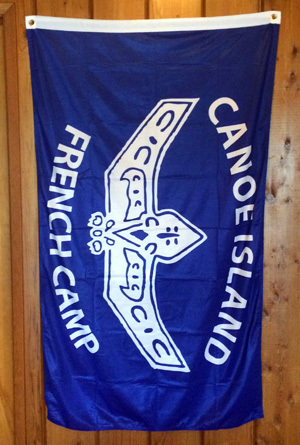 As a token of gratitude for your support of Canoe Island French Camp, we are very pleased to offer a variety of Thank You Gifts for donations. Below, please find a list of gifts with their associated donation level. 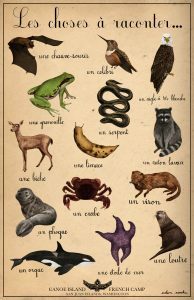 All illustrations are by past Artist in Residence Eden Cooke. An illustrated poster of the wildlife of Canoe Island that celebrates Joseph’s twice-daily “les choses à raconter.” This poster is 11″ by 17″. 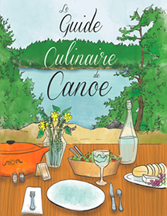 2nd edition of Le Guide Culinaire de Canoe cookbook, which includes camp favorites: soup à l’oignon, cannele de Bordeaux, recipes from la classe de cuisine française, and some of the gourmet dishes served at our Bon Voyage Banquets. 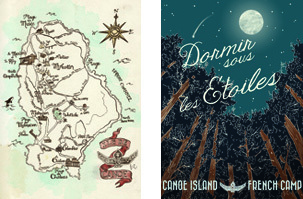 Whimsical map of Canoe Island poster, or nostalgic Dormir sous les étoiles poster, both 18” by 24”. 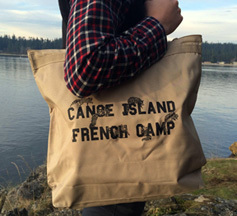 Canvas, zippered tote bag with cavorting raccoons. Classic CIFC t-shirt inspired by our camp t-shirts of the ’80s. 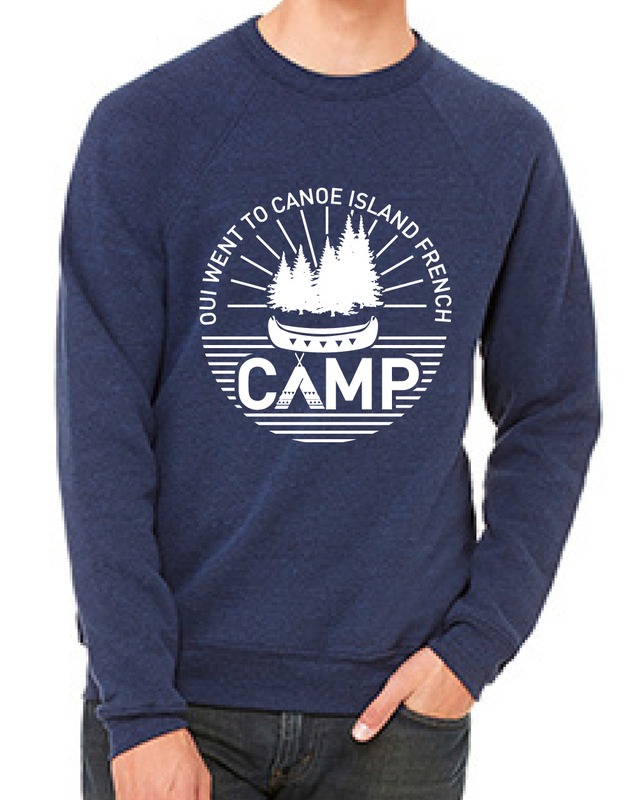 Cozy CIFC sweatshirt with vintage charm. Insulated 16 oz. 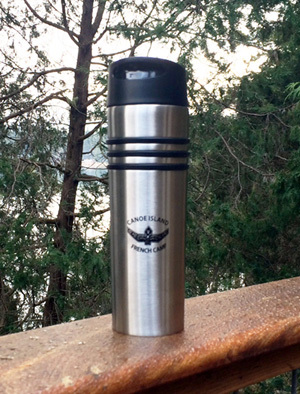 travel mug with leak-proof screw lid. Stainless steel with CIFC logo. 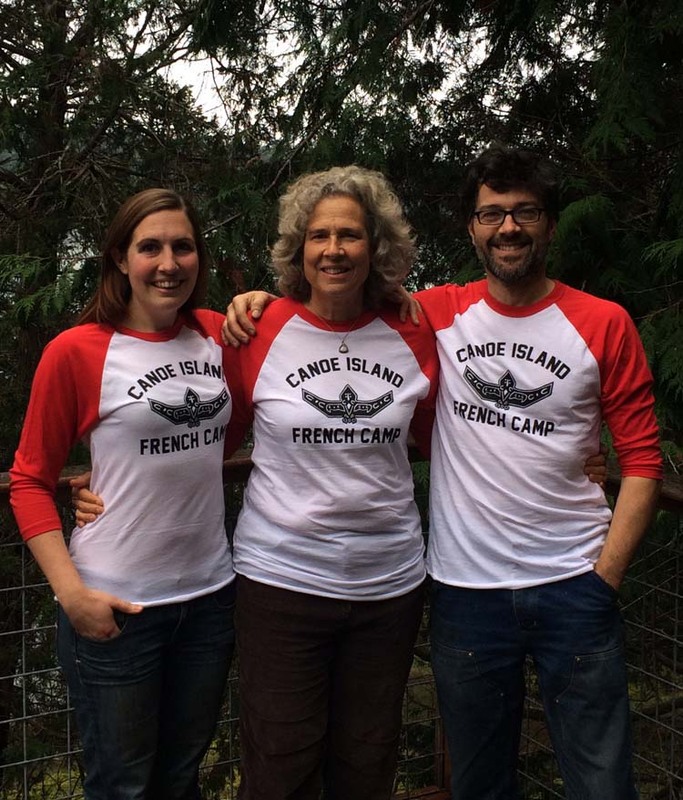 Handmade wooden bench designed and built by master craftsman and Facility Manager Ben Straub, named in your honor and placed on a scenic promontory on Canoe Island. 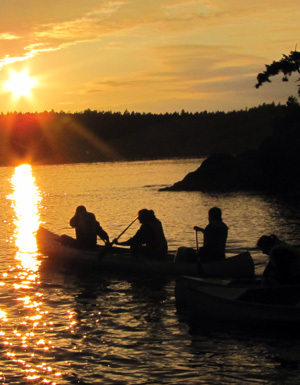 3-day, 2-night private stay on Canoe Island including lodging, meals from Friday dinner to Sunday lunch, and kayaking, sailing, archery, and marine biology.